While there is no general agreement upon the greatest film, many publications and organizations have tried to determine the films considered the best. The films mentioned in this article have all been mentioned in a notable survey – be it a popular poll or critics’ poll. Many of these sources focus on American films or were polls of English-speaking film goers, but those considered the greatest within their respective countries are also included here. None of these citations should be viewed as scientific measures of the film-watching world. They are often influenced by vote stacking or they survey a population with skewed demographics. Internet-based surveys have a self-selecting audience of unknown participants. The methodology of some surveys may be questionable. Sometimes (as in the case of the American Film Institute) voters were asked to select films from a limited list of entries. In 1937, in a remote area of Tibet close to the Chinese border, a two year old child is identified as the reincarnation of the Dalai Lama, the compassionate Buddha. Two years later, the child is brought to Lhasa where he is schooled as a monk and as head of state amidst the color and pageantry of Tibetan culture. The film follows him into adulthood: when he is 14, the Chinese invade Tibet and he is forced into a shaky coalition government; he travels to China to meet with a cynical Mao; and, finally, in 1959, ill and under siege, he flees to India. Throughout, he has visions of his people’s slaughter under Chinese rule. As the story opens, King Henry II, who ruled England from 1154 to 1189 has entered Canterbury Cathedral to do penance at the tomb of his former friend, Thomas Becket. Bare to the waist, the king kneels to receive a flogging from Saxon monks. He begins to reminisce, recalling at first the carefree, promiscuous adventures with Becket, then his favorite drinking and wenching companion. A violently emotional drama that probes the changing relationship between two young men – between two close friends bound together by similar pride of flesh and spirit who become deadly enemies as they pursue their separate destinies . . . that of king . . . and saint. Ten years ago some of the worst atrocities in the history of mankind took place in the country of Rwanda–and in an era of high-speed communication and round the clock news, the events went almost unnoticed by the rest of the world. In only three months, one million people were brutally murdered. In the face of these unspeakable actions, inspired by his love for his family, an ordinary man summons extraordinary courage to save the lives of over a thousand helpless refugees, by granting them shelter in the hotel he manages. It has been three years since the most important Nazi leaders had already been tried. This trial is about 4 Judges who used their offices to conduct Nazi sterilization and cleansing policies. Retired American Judge, Judge Dan Haywood has a daunting task ahead of him. The Cold War is heating up and no one wants any more trials as Germany, and allied Governments, want to forget the past. But is that the right thing to do is the question that the tribunal must decide. A film commissioned by the Algerian government that shows the Algerian revolution from both sides. The French foreign legion has left Vietnam in defeat and has something to prove. The Algerians are seeking independence. The two clash. The torture used by the French is contrasted with the Algerian’s use of bombs in soda shops. A look at war as a nasty thing that harms and sullies everyone who participates in it. Based on a true story, “The Great Escape” deals with the largest Allied escape attempt from a German POW camp during the Second World War. The first part of the film focuses on the escape efforts within the camp and the process of secretly digging an escape tunnel. The second half of the film deals with the massive effort by the German Gestapo to track down the over 70 escaped prisoners who are at this point throughout the Third Reich attempting to make their way to England and various neutral countries. It’s the last days of Adolf Hitler, April 1945, and Hitler’s personal secretary Traudl Junge finds herself in the Der Fuhrer’s bunker. Facing inevitable defeat, Hilter’s moods range from defiance to fight or flee, remain loyal or opt for self-preservation. Eva Braun parties while Magda Goebbels kills her children. The movie goes on to show how Hitler and Eva lived their last hours in the Bunker. It is 1942 and the German submarine fleet is heavily engaged in the so called “Battle of the Atlantic” to harass and destroy English shipping. With better escorts of the Destroyer Class, however, German U-Boats have begun to take heavy losses. 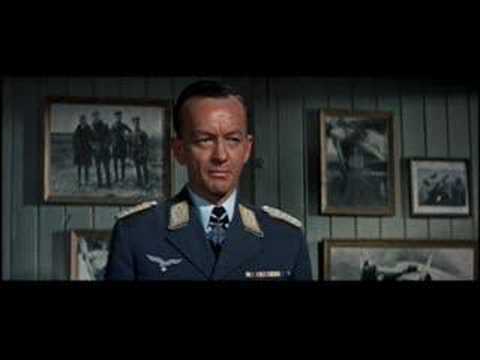 “Das Boot” is the story of one such U-Boat crew, with the film examining how these submariners maintained their professionalism as soldiers, attempted to accomplish impossible missions, while all the time attempting to understand and obey the ideology of the government under which they served. In 1983, Gandhi is thrown off a South African train for being an Indian and traveling in a first class compartment. Gandhi realizes that the laws are biased against Indians and decides to start a non-violent protest campaign for the rights of all Indians in South Africa. After numerous arrests and the unwanted attention of the world, the government finally relents by recognizing rights for Indians, though not for the native blacks of South Africa. After this victory, Gandhi is invited back to India, where he is now considered something of a national hero. He is urged to take up the fight for India’s independence from the British Empire. Gandhi agrees, and mounts a non-violent non-cooperation campaign of unprecedented scale, coordinating millions of Indians nationwide. To escape the edict of Egypt’s Pharoah, Rameses I, condemning all first-born Hebrew males, the infant Moses is set adrift on the Nile in a reed basket. Saved by the pharaoh’s daughter Bithiah, he is adopted by her and brought up in the court of her brother, Pharaoh Seti. Moses gains Seti’s favor and the love of the throne princess Nefertiri, as well as the hatred of Seti’s son, Rameses. When his Hebrew heritage is revealed, Moses is cast out of Egypt, and makes his way across the desert where he marries, has a son and is commanded by God to return to Egypt to free the Hebrews from slavery. In 1547, Ivan IV (1530-1584), archduke of Moscow, crowns himself Tsar of Russia and sets about reclaiming lost Russian territory. In scenes of his coronation, his wedding to Anastasia, his campaign against the Tartars in Kazan, his illness when all think he will die, recovery, campaigns in the Baltic and Crimea, self-imposed exile in Alexandrov, and the petition of Muscovites that he return, his enemies among the boyars threaten his success. Chief among them are his aunt, who wants to advance the fortunes of her son, a simpleton, and Kurbsky, a warrior prince who wants both power and the hand of Anastasia. Ivan deftly plays to the people to consolidate his power. 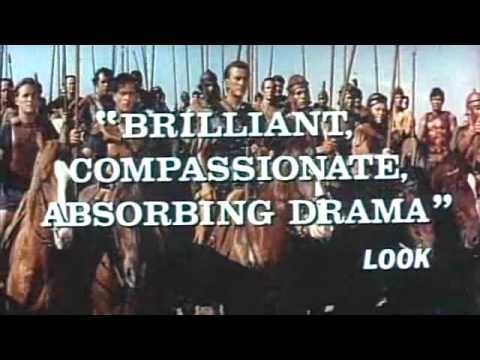 Spartacus, a Thracian slave, refuses to allow himself to become the animal the Roman civilization would have him be. His love for Varinia, a slave girl, coupled with his revulsion at the crushing treatment and callous murders of his fellow slaves, ignite in his breast a passion for freedom. They escape and are joined by more runaways, and swell to become a vast army. Contrasted with their impassioned plans for open rebellion are the cool, calculating minds of their Roman adversaries Crassus, Grachus and Batiatus. To Rome, a poorly equipped army of slaves are no more threatening than the invasion of insects which attack the city during the hot, humid seasons. The slaves’ cries for freedom and their challenge will be but a more diversion from the musty affairs of state. And so, in a chilling engagement, the superior military might of Rome proceeds to crush the army of Spartacus. When Prince Judah Ben-Hur hears that his childhood friend Messala has been named to command the Roman garrison of Jerusalem, he is thrilled. He soon finds however that his friend has changed and has become an arrogant conqueror, full of the grandeur of Rome. 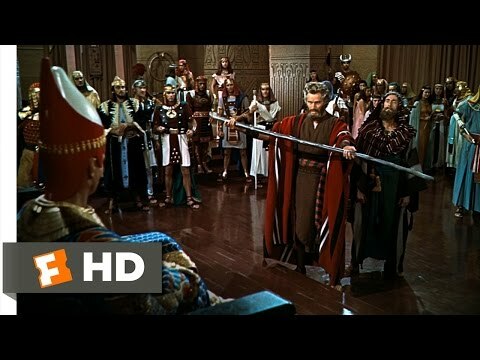 When Judah refuses to divulge the names of Jews who oppose Roman rule, Messala decides to make an example of him and sends him off as a galley slave. Through fate and good fortune, Judah survives the galleys and manages to return to Jerusalem in the hopes of finding his mother and sister, who were also imprisoned, and to seek revenge against his one-time friend.